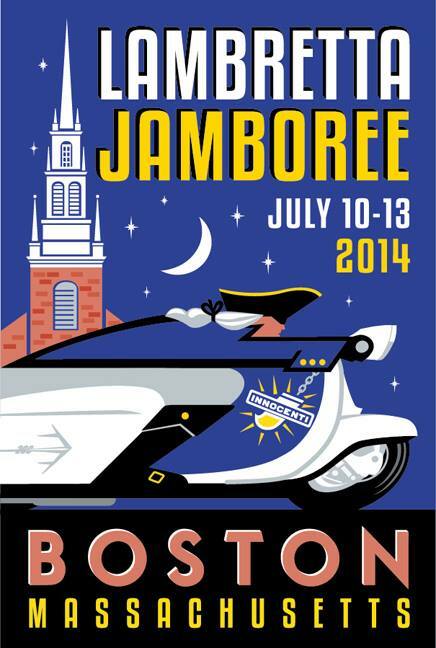 One of the big events, for the sate side Lambrettisti, is the annual Lambretta Jubilee, a national, Lambretta only event organised by the Lambretta Club USA. Next year, it’s in Boston, Massachusetts. Now being the other side of the pond, I don’t know an awful lot more than that. But what I do know, is whoever designs their posters for them is doing an excellent job. I’ve found last years one from Colorado, and these are real quality illustrations. So if you’ve got any more examples of these masterpieces of graphic art, give me a nod… It would be great to feature them on here. Maybe more importantly, if you know the talent behind the illustrations, please let me know, I’d love to give him / her the credit they are due! EDIT / Update: Corey from The Bitter End Scooter Club, Ontario, Canada has given me a heads up on the artist. It’s by Glenn Reid, who has a website here. 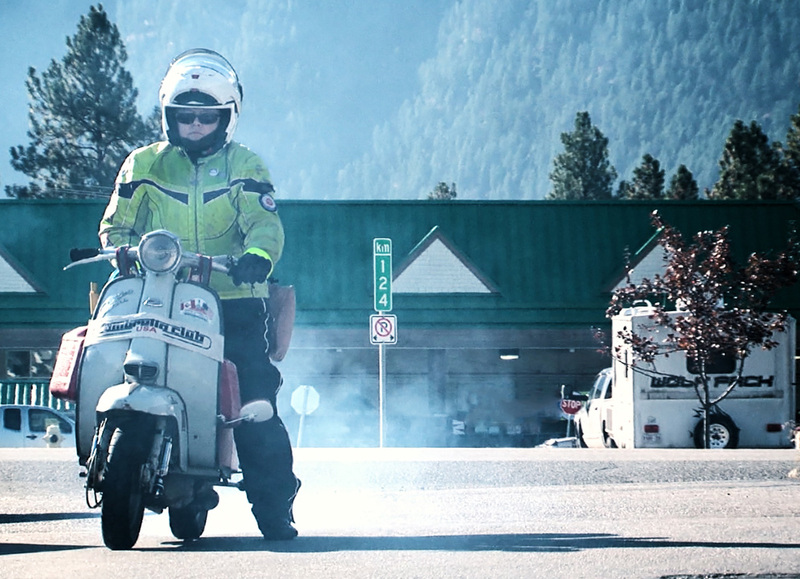 There are a fair few scoots features in his work, which will probably be as familiar to you, as they were to me when I saw them. Really lovely stuff, with an art deco travel poster vibe about them. Nice work Glenn, and cheers for the info Corey. 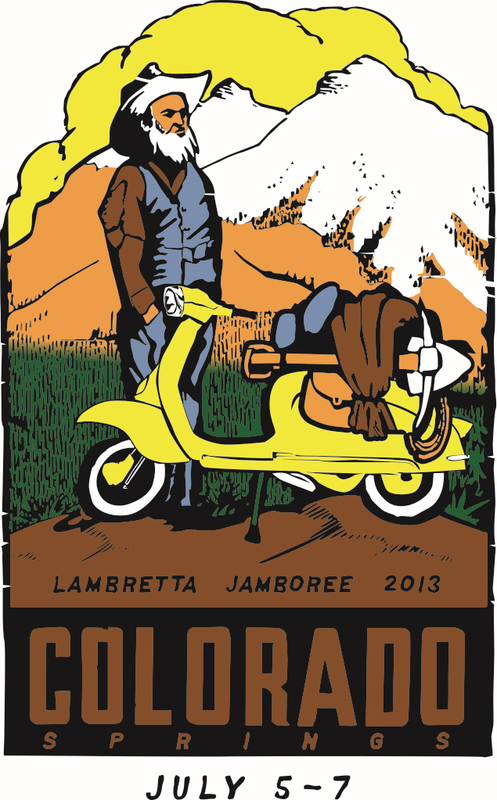 FURTHER EDIT / UPDATE: The Colorado Spring illustrations are by Adam Biddle, aka Adam Xyl, a Lambretta owner and rider, and a member of the Peak Scooter Club. Nice work Adam.